It's that time! Time for the next month's challenge! You submitted, you voted, and your winner is... DarkFaerie! Congratz! Please keep in mind he/she cannot make a submission for the next month, June. Please be on the lookout for the June Submissions and enjoy the LIMITED TIME May challenge. You must complete the challenge before the end date in order to proudly use the May 2017 Badge. Requirements: Must be 15 minutes or longer. Planning on watching a lot of films this season? Many summer movies are a continuation of some sort. 🎥 Watch an anime in the Top 500 Most Popular. These films tend to get pretty popular, and in turn make a lot of bank. 🎥 Watch a Superhero or Super Power anime. It's not summer blockbuster season without some superhero flicks! 🎥 Watch a movie: Tansu Warashi. 🎥 Watch an anime in the Top 500 Most Popular. - Kimi no Na wa. 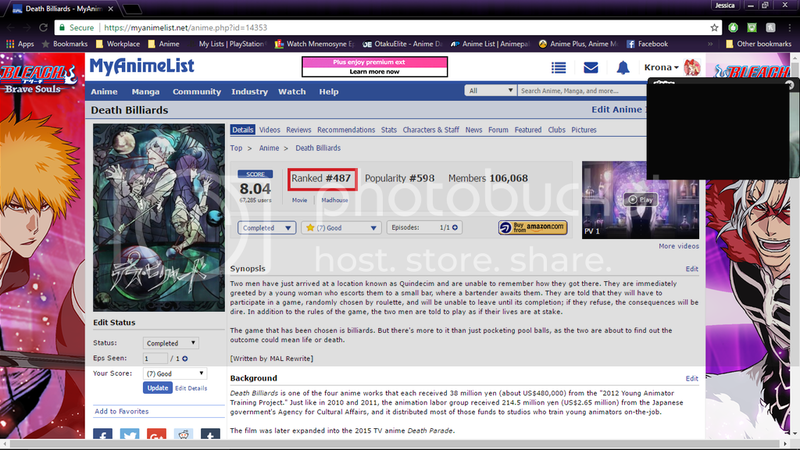 🎥 ✔ Watch an anime in the Top 500 Most Popular - Sen to Chihiro no kamikakushi. Requirements:Must be 15 minutes or longer. x Watch a Superhero or Super Power anime : Kono Danshi, Uchuujin to Tatakaemasu. 🎥 Watch a sequel: Gintama. 🎥 Watch a movie - Blame! 🎥 Watch an anime in the Top 500 Most Popular : Btooom! 🎥 Watch a movie : Kimi no Na wa. 🎥 Watch a sequel Working'!! 🎥 Watch a movie : Digimon Adventure: Bokura no War Game!